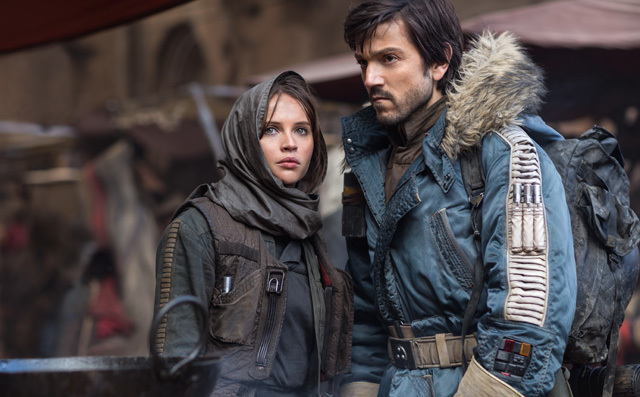 Put another one in the “win” column for The Walt Disney Studios as Rogue One: A Star Wars Story added $16.6 million on Thursday, December 29 to boost its domestic total to $375.2 million. After just 14 days of release, Rogue One has passed Deadpool ($363.1M), The Jungle Book ($364.0M) and The Secret Life of Pets ($368.4M) to become the #3 release of 2016 domestically. It trails just Disney’s own Finding Dory ($486.3M) and Captain America: Civil War ($408M). Internationally, Rogue One added $17.3 million on Thursday to bring its overseas total to $312.5 million and worldwide sum to $687.7 million. Rogue One is currently the #10 global release of 2016. Directed by Gareth Edwards, Rogue One: A Star Wars Story stars Felicity Jones, Diego Luna, Ben Mendelsohn, Donnie Yen, Mads Mikkelsen, Alan Tudyk, Riz Ahmed, Jiang Wen, and Forest Whitaker. From Lucasfilm comes the first of the Star Wars standalone films, Rogue One: A Star Wars Story, an all-new epic adventure. In a time of conflict, a group of unlikely heroes band together on a mission to steal the plans to the Death Star, the Empire’s ultimate weapon of destruction. This key event in the Star Wars timeline brings together ordinary people who choose to do extraordinary things, and in doing so, become part of something greater than themselves.